Do-It-Ourselves brings unique experiences with music, art, and community to the central coast of California. 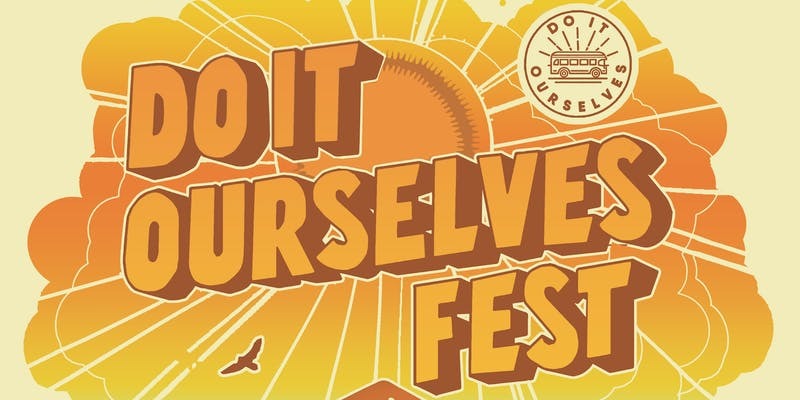 DIO Fest is our annual event, being a 3-day music festival that benefits music enrichment programming. DIO Fest is about honoring the power of collaboration, elevating expression, and bringing people together with a good cause in mind. Our hope is that, by getting together under the auspices of a great cause to celebrate life and creativity, we can kindle the sparks that start flying when people get together to build something that is greater than the some of it’s parts, and that the ‘do it ourselves’ approach will ripple out into larger communities. Nestled near the summit of a redwood-forested mountainside, the festival grounds are located about 15 miles north of Santa Cruz. With 3 intimate stages, a swimming pool, several hiking trails, a running creek through lower campgrounds, and panoramic views of the Santa Cruz Mountains, there’s no better setting for a weekend celebration of art, music, and giving back! We’re proud to be a family friendly event, with kids 12 and under getting free admission. Whether you’re a volunteer, an attendee, an artist, a shuttle driver, a supporter or anyone else, ‘you’ are a part of the ‘we’ that is DIO Fest. Grab yer presale tix and tell your friends - share the facebook event in true do-it-ourselves fashion and see if you can't help build the hype. As you’re probably aware, you’ve stumbled across something sweet here. If you’re a DIO “virgin” just remember the tips in this official Fest Guide, and you’ll be a pro. It’s true, at our festival we do-it-ourselves. We exist so that corporate mega-festivals don’t eventually rule the world, because the person on the stage is not so different from the person in the audience. We’re a group of people who want to do something awesome, like raise awareness and funds for the developmentally disabled. We have a blast while we’re at it, too. It’s about music, it’s about people, it’s about positive vibes, it’s about having a good time. Whether you’re a volunteer, an attendee, an artist, a shuttle driver, a supporter or anyone else, ‘you’ are a part of the ‘we’ that is DIO Fest. Thanks for bearing through the mush, stoked to see you in April.